"Guantanamo, Lawlessness, and the Myth of American Exceptionalism"
After 9/11, the United States created a network of secret prisons where it held terrorism suspects for years without charge or access to a court, and subjected them to torture and other mistreatment, in violation of the Constitution and international law. While the US has renounced several of these practices, Guantanamo, the symbol of US lawlessness remains. The US has also failed to implement any mechanism to ensure accountability for the worst abuses. The Trump administration, meanwhile, has raised concerns about US backsliding on providing basic due process guarantees to all persons in US custody. This talk will examine what the US treatment of terrorism suspects reveals about the notion of American exceptionalism. Jonathan Hafetz is a senior staff attorney with the ACLU Center for Democracy. He is also a professor of law at Seton Hall University School of Law, where he teaches courses on constitutional law, national security law, and international law. 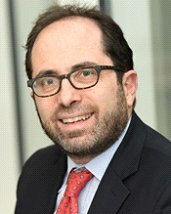 Mr. Hafetz works on issues involving detention, torture, surveillance, racial and religious discrimination, and the intersection of immigration and national security law. . . . He has written books on habeas corpus and on international criminal law and authored numerous articles for academic journals and popular publications. Hafetz is an enormously important figure in the fight against torture and unlawful practices of detention. It would be hard to overstate his significance. He is a celebrated litigator, a multiple award-winning author, and a world class legal scholar. CO-SPONSORS: *UW: Center for Human Rights; Jackson School of International Studies; Simpson Center for the Humanities; Department of Political Science; Department of Law, Societies & Justice; Harry Bridges Center for Labor Studies; Center for Global Studies; International Human Rights Clinic; Sustainable International Development graduate program; Amnesty International at UW. Additional co-sponsors forthcoming. *Community co-sponsors: Amnesty International, Group 4; ACLU-WA, National Religious Campaign Against Torture (NRCAT). Additional co-sponsors forthcoming. ***WSRCAT will likely be coordinating an additional action on January 11. More information will be provided. In a major sotry, the Associated Press has reported that US officials are interrogating prisoners subjected to torture by United Arab Emirates officials in Yemen. Here is the article: AP News Link. We urge everyonen to call their US senators and representative about this issue. Let them know: "The AP has reported that US officals are interrogating prisioners subjected ot torture in Yemen. Please demand an immediate end to this practice." The switchboard is 1-202-224-3121. A phone menu will route you through to your senators or representative. WSRCAT RESPONDS TO SETTLEMENT OF THE CIVIL SUIT AGAINST MITCHELL AND JESSEN IN SPOKANE - SAYS IT WILL CONTINUE WITH ITS PLANNED PUBLIC EVENTS. Yesterday, the ACLU announced a settlement in the civil suit filed against the two psychologists, James Mitchell and Bruce Jessen, with whom the CIA contracted to develop and then help carry out torture in its secret "black sites" during the years following the terrorist attacks on 9/11. ACLU Linked Article. Even though WSRCAT would have preferred having this case go to trial, we applaud the settlement and agree with the ACLU's lead attorney, Dror Ladin: "This is a historic victory for our clients and the rule of law.... It is a clear warning for anyone who thinks they can torture with impunity." The ACLU's Hina Shamsi said "Government officials and contractors are on notice that they cannot hide from accountability for torture. Our clients' groundbreaking case has changed the legal landscape. It shows that the courts are fully capable of handling lawsuits involving abuses comitted in the name of national security." For the plantiffs, Suleiman Abdullah Salim, Mohamed Ahmed Ben Soud and the family of Gul Rahman (Rahman died in CIA custody), the undiscolosed settlement means that they will receive a measure of recognition for the suffering they endured and that perpetrators were in some measure held accountable. As Curt Goering, the Executive Director of the Center for Victims of Torture stated, "Today, we feel hopeful that this settlement means there has been a break in the cycle of impunity." WSRCAT believes that the Mitchell and Jessen case has national and international significance. Since the court proceedings were taking place in Washington State, we have a responsibility to provide a message that in all circumstances torture is wrong and that perpetrators must be held accountable for violations of national and international laws. We believe that criminal charges should be brought against Mitchell and Jessen as well as the CIA officials who hired them and authorized their torture techniques. Torture violates our country's highest ideals and has gravely damaged our nation's reputation in the eyes of the world. TORTURE IS ALWAYS WRONG. Torture and cruel, inhuman and degrading treatment carried out by the US government caused immense sufferning and many deaths. The United States is morally and legally obligated to provide compensation and treatment for victims of torture. Torture is illegal in both domestic and international law. It is a democratic responsibility and legal obligation to prevent and prosecute torture. Perpetrators need to be held accountable. The reauthorization or covert practice of torture continues to be a threat. A culture of impunity in relation to the crime of torture creates the likelihood of its repetition and contributes to a culture of unrestrained violence within the CIA and parts of the military, among police and in prisons, and even within the presidency. Not least, in the current political climate the continuing rhetoric of torture and defense of torture sets a tone that fans the flames of a growing culture of violence, especially among far right groups. There will be a Rally in Spokane, the exact date/time and location are still not finalized. Juan Mendez was UN Special Rapporteur on Torture from 2010-2016, and is one of the most prominent anti-torture activists in the world. LISA HAJJAR, Professor of Sociology, University of California, Santa Barbara. Professor Hajjar is a prominent scholar and author who has written extensively about torture. UPENDRA ACHARYA, Associate Professor, Gonzaga University School of Law. Professor Acharya specializes in international, Constitutional, administrative and comparative law. KEYNOTE SPEAKER: CURT GOERING, Executive Director, Center for Victims of Torture. Mr. Goering is a widely respected and persistent voice opposing torture, having directed operations for Amnesty International before joining the CVT as its Executive Director. COMMENTATOR: Rev. RICH LANG, District Superintendent, Pacific Northwest Conference of The United Methodist Church, Seattle District. A panel of commentators will discuss the need for resistance to torture as a crucial counter-force to the torture state. The history of resistance, its many forms, and the organizations currently at work to raise awareness and educate will be explored. JOHN KIRIAKOU, former CIA whistleblower who first made public the CIA's use of waterboarding, will discuss the role of internal dissenters. LISA HAJJAR, Professor of Sociology at the University of California, Santa Barbara, scholar and author, will discuss the legal resistance to torture. RON STIEFF, Executive Director of the National Religious Campaign Against Torture (NRCAT), will discuss the importance of resistance from the position of human rights and faith-based organizations. ROB CRAWFORD, Co-founder of the Washington State Religious Campaign Against Torture (WSRCAT) and Professor Emeritus from the University of Washington, Tacoma, will discuss grassroots resistance to torture. WSRCAT will also present the American Civil Liberties Union with an award in recognition of its contributions to advancing accountability for torture in the Mitchell and Jessen case, and other legal actions. The Washington State Religious Campaign Against Torture (WSRCAT), an interfaith organization working in alliance with other regional and national human rights organizations to end torture, applauds last Thursday's bipartisan vote of the Senate Intelligence Committee (SSCI) to make public the 400-page summary of its 6000-page report on torture. The report had been approved in December 2012, but the vote to make it public had been delayed due to CIA objections. The committee vote followed a dramatic speech on the Senate floor last month by the SSCI chair, Dianne Feinstein, citing illegal CIA interference with the investigation. Although we believe the entire results of the investigation of CIA torture should be made public, the release of the summary is an absolute necessity. We urge the President to keep his word and promptly approve the full release of the summary with no further redactions. Tom Ewell, speaking on behalf of WSRCAT, said, "The report needs to be released so that the American people can learn the whole truth about the use of torture that was condoned and committed by our own government. According to leading media sources, the report confirms the shocking reality of the extent of CIA torture far beyond the horrific practices already revealed." Rev. Ron Stief, executive director of the National Religious Campaign Against Torture, said, "Admitting the truth about the United States' past is the first step toward redemption." In response to those seeking to justify or whitewash U.S. torture, the report will disprove the contention that torture kept America safe. It will show that torture not only failed to gain valuable information but also damaged the reputation of the United States and strengthened America's enemies. WSRCAT emphasizes that torture is incompatible with American values. Torture is wrong. It is a core violation of human dignity. All religions and all democratic traditions reject it. Torture is also illegal in both national and international law. Along with slavery and genocide, torture ranks as a supreme crime. The right not to be tortured is absolute. There can be no exceptions. As WSRCAT's Rob Crawford recently wrote in the Everett Herald, "A government that tortures and gets away with it is exercising power beyond all moral and legal restraint. Torture is a system crime, condemned by all civilized governments, including our own. . . . If government torture is not banished, rights mean nothing. If torture is not wrong, nothing is wrong." The public release of the report will only be a crucial first step toward the ultimate goal of the permanent abolition of U.S. torture. The next step is to hold the perpetrators accountable. The rule of law means nothing without accountability. To date, not one high official who ordered torture or who facilitated or otherwise participated in its implementation has been held accountable. In this matter, President Obama has not been helpful. Once the additional facts from the SSCI report are released, we call upon the President to reverse his previous position and appoint a special prosecutor to investigate and prosecute U.S. officials responsible for torture, and to allow victims of U.S. torture to seek redress in the courts. We also call upon the President to release the full 6000-page report and all other relevant documents, especially the Presidential order of September 17, 2001. But Americans cannot wait for our government to act. We know that the proponents of torture will continue to provide distorted justifications for "dark side" practices. After attempting to keep torture secret, after distorting the law to make it appear that torture is legal, after destroying evidence, and after attempting to undermine and even intimidate the Senate investigators, the CIA, along with top officials of the Bush-Cheney administration, must be held to public account. If President Obama refuses to appoint a special prosecutor or an independent commission of inquiry, the Senate report will provide the most extensive review of the secret detention and torture program carried out by the CIA. The American public should take the report seriously. WSRCAT calls on citizens of our state to discuss the report and communicate your thoughts to your representatives in Congress. Make your views known to the media, your congregations, civic organizations, unions, universities and workplaces. We call on our congressional representatives and prominent state officials to condemn torture and to work for its permanent abolition. Ultimately, it will be the American people's unequivocal rejection of torture that will provide the best guarantee that the U.S. never again resorts to this inhuman act. Astounding events over the last several weeks have once again put U.S. torture in the spotlight. Evidence of spying by the CIA on Senate staffers investigating the Agency provoked an unprecedented apology from CIA director John Brennan, calls for his removal, and a response from President Obama at his August 1st press conference. The backdrop is the long delayed but pending public release of the summary of the over 6000 page investigative report of the Senate Intelligence Committee on CIA torture. The investigation was initiated over five years ago. The report was approved by the committee 20 months ago and approved for release 5 months ago. As we move into autumn, the date of its official release is still in question. The Senate report will purportedly accuse the CIA of lying to the public and to Congress. That will be unsurprising to anyone who knows the long history of the CIA, first revealed in detail by the Church Committee in 1975. Secrecy and lying have been an Agency hallmark. The pre-9/11 history of CIA involvement with torture in Latin America and Southeast Asia is just one example. When the Senate committee began its work, the CIA insisted investigators use a special CIA facility for the review of documents. It then monitored Senate staff computers, read staffers' emails and removed a damning internal report. Brennan denied that the CIA had spied on the Senate staff, calling the allegations "beyond reason" but in late July the CIA's Inspector General's investigation confirmed it. In March, the CIA countered the charges of spying along with a referral to the Justice Department by asking the DOJ to open an investigation of illegal behavior of committee staff. In response, Diane Feinstein, the normally hawkish chair of the Senate committee, gave an unprecedented, angry speech on the Senate floor about CIA bullying. Further, CIA officials have publicly accused the committee of bias and the Agency will write a dissent that will be appended to the report. Not least, the CIA can virtually dictate redactions. It is extraordinary that the very agency being investigated by the Senate has the power to redact the Senate's report of its investigation. The CIA's redaction review took months and has now moved to the center of a controversy between Feinstein and the White House (which coordinated, participated in and approved the redaction process). Feinstein asserted that the proposed redactions "eliminate or obscure key facts that support the report's findings and conclusions." She further said that she will not make the report public "until these redactions are addressed to the committee's satisfaction." At a news conference on August 1st, President Obama was asked about Brennan. First, Obama expressed "full confidence" in Brennan, referring to CIA spying on the Senate staff as a matter that "CIA personnel did not properly handle �" and "some very poor judgment was shown." Given the enormous implications for a functioning democracy of the CIA's unlawful misconduct, Obama's language seems mild. Third, Obama then claimed to "understand what happened." His explanation emphasized "how afraid people were after the Twin Towers fell," "people did not know whether more attacks were imminent," and national security officials felt "enormous pressure." He told us that we should "not � feel too sanctimonious in retrospect," given that officials had a "tough job." This framing is a version of the fall-back position accompanying the more assertive claims that "enhanced interrogation" kept America safe. Whether or not torture was ineffective; whether or not it was, as the president said, "contrary to our values"; and whether or not it was illegal, in the end it was, Obama is suggesting, understandable�that is, excusable under the circumstances. After all, Obama asserted, the acts in question were committed by "real patriots"�i.e., right-minded people who simply acted out of love of country. The implication is that the torture is pardonable and that it would be ungrateful to criticize patriots for anything more than misjudgment under extraordinary circumstances. The logic of this nationalist rhetoric is to place off limits the harder questions about what happened and why: Why did state institutions routinely operate outside the law, lie to Congress, destroy evidence, and adopt a "by any means necessary," "gloves-off" approach to problems of national security? Whether CIA operatives or presidents, patriots cannot be held accountable for committing war crimes. For love of country, let's just move on. As Andrew Sullivan put it, "We tortured. It was wrong. Never mind." Next, Obama�again using the word "torture" and saying that "we crossed a line"�called on the country "to take responsibility for that so that hopefully we don't do it again in the future." Certainly. Yet, the president might have been more explicit that the line crossed was not only moral; it was legal�and no amount of Office of Legal Counsel "guidance" (based on radically distorted interpretations of what is legally permissible) or even immunities provided by Congress can alter that fact. Moreover, the "we" who "crossed a line" remains purposefully vague. After all, specific officials crossed that line, acting through the CIA, the military, the executive branch, and with possible complicity by individual members of Congress. Finally, what does Obama mean when he urges the "country" to take responsibility? Remember it was the same Obama who in 2009 urged the country to "look forward rather than look backward," who refused to pursue criminal accountability or even a bipartisan commission of inquiry. It is the same Obama who appears to be supporting a redaction process that Feinstein says undermines the conclusions of the report. Obama's statement that the country should take responsibility is contradicted by his own actions. Obama is right that Americans should grapple with their government's use of torture. Too many Americans have chosen simply to look the other way. However, the president has not fulfilled his own responsibility to exercise moral leadership. The task of getting to the real truth of U.S. torture is difficult. To own up to the moral and criminal failure of our national leaders is even more challenging. Meaningful accountability is impossible without genuine soul-searching among leaders in government, media and in civil society. The Senate torture report is a necessary step in that direction. 1) To date, there has been no official report focusing on the CIA's central role in carrying out the Bush-Cheney administration's adoption of torture post-9/11. Although the Senate Intelligence Committee's report will be compromised by the continued suppression of the full report, by extensive redactions, and by an inevitably limited analysis, it will be the most significant government report to date on U.S. torture. Torture will once again be given national prominence in the media. This has not happened since 2009, a pivotal year in "the torture debate" when a series of shocking revelations unsettled the normal timidity of the media establishment. Then, editors provided space for opinions highly critical of Bush and Cheney's interrogation program along with views defending the policies. Anxieties swelled among perpetrators and their defenders about how far Obama might go in revealing the full scope of the torture program or who might be held accountable and how. In a highly charged partisan atmosphere, Republican hawks, led by Cheney, attacked the new president's change of torture policy and warned of serious consequences that would follow attempts to hold perpetrators accountable. As it turns out, perpetrators had little to worry about. After changing torture policy, Obama quickly signaled that accountability was off the table and he remained largely silent in face of the barrage of justifications from Cheney and conservative media commentators. This silence allowed Cheney and his supporters to shape the narrative. Since 2009, there have been only a few brief moments�at least within the U.S media�where the torture issue resurfaced, most prominently concerning continuing claims that "enhanced interrogation" was effective in keeping America safe from another terrorist attack. At the very least, the Senate report will provide a refutation of this argument, although the CIA and defenders of the Bush-Cheney program will mount a vigorous counter-attack. The debate over the efficacy of torture is crucial. 2) Torture is a high crime under international and domestic law. Whether or not the Senate report names the crime or recommends legal solutions (not likely; leaks suggest that the report doesn't even use the word "torture"), the truth of government lawlessness will be laid before the public and will re-energize calls for legal accountability for officials at the top of the political, military and CIA chain of command. Human rights organizations will recall that the legal prohibition of torture as reaffirmed in the UN Convention Against Torture (ratified by the U.S.) permits no exceptions whatsoever. They will also remind Americans that their government is under legal obligation to investigate and prosecute those who authorized and carried out torture. They will emphasize that failure to assign responsibility for past wrongful acts creates a climate of impunity and that the rule of law means nothing if state crimes are exempted. 3) The Senate torture report will also present an opportunity for commentators to ask critical questions about threats to liberal democracy inherent to a national security state. Already critics are making parallels between the rogue behavior of the CIA and the NSA's Orwellian, "collect it all" surveillance. The truth is that post-9/11 was not the first time that the security agencies (CIA, FBI, NSA, Special Forces, and other components of the secret state) have deliberately disregarded, or have been ordered by a president to disregard, legal and moral restraints. Open government groups are now citing the CIA's conduct in relation to the Senate committee and its report as exhibit A in their case against unaccountable government agencies and how national security and presidential authority are used to justify the twin abuses of excessive secrecy and evasions of congressional or judicial oversight. Just as Watergate era revelations led to the Church Committee hearings and reforms, the renewal of the torture debate will raise fundamental questions about the dangers of unaccountable security agencies and the requirements for reassertion of democratic control. 4) Most commentators have focused on the substantial partisan differences over the use of torture and the struggle between those who are fighting for the release of the report with few redactions and those who want to bury it. These differences are politically significant. Which side prevails may shape public attitudes toward torture for years to come. However, I want to suggest another dimension. Powerful forces on both sides of the partisan divide want the torture issue to disappear altogether. Many military, security and political elites recognize that U.S. torture, approved at the highest levels of government, created an unsurpassed crisis of legitimacy for the country. Their foremost objective is to restore that legitimacy. Arguably, this is the principal reason why Obama issued his executive order rejecting torture in 2009 (I believe that McCain would have likely done the same). It is why the new president counseled amnesia about torture and why he refused to initiate criminal investigations or even a commission of inquiry. It is why he has fallen mostly silent about the issue of torture. The U.S. relies on an image that it conducts its wars humanely and in accordance with international law. Brutality and illegality belong to the enemy. Occasionally, however, the brutal and unlawful exercise of state violence becomes public knowledge. The inhumanity of violence "shocks the conscience." Legitimacy crises follow. For the U.S., the Abu Ghraib photos were a disaster but the disaster kept growing with a cascade of revelations that included documentation of torture of prisoners in Guantanamo, Iraq, Afghanistan and CIA kidnapping, renditions, and torture in secret prisons. The reverberations are still being felt. In 2014, national security elites in both political parties, including those who disagree about the permissibility of "enhanced interrogation," are worried that the Senate report will further aggravate the prolonged crisis of legitimacy caused by U.S. torture�a crisis made worse by the government's refusal to undertake criminal proceedings and support civil suits, and partisan politics resulting in continuing indefinite detention at Guantanamo prison camp and military commission trials that admit torture as evidence. Most Americans are still unfamiliar with the grizzly details of what their government authorized and which high officials did the authorizing. Globally, especially in the Middle East, the report will likely reactivate multiple resentments; and it may reinforce dismay among allies. National security elites will disagree about the efficacy of torture and other aspects of the report, but they will be united in wanting to forestall public disclosure and critical examination of America's use of coercive power, past and present. Torture, after all, is not the only inhumane use of state violence; nor is U.S. torture solely an aberration of the Bush-Cheney years. For the national security elite as a whole, the history of state violence is better left buried or forgotten and dissident voices about current inhumane operations ignored. Above all, the use of violence as an instrument of policy must remain unencumbered. For these reasons, even though the CIA will be rebuked by liberal Democrats and perhaps some legislative reforms will be attempted, calls for accountability will continue to be opposed. For national security elites, the release of the Senate report summary will be treated as the end of the story�time to turn the page to narratives more consistent with the myth of American Exceptionalism. This closure will be opposed by some, especially by those who understand that post-9/11 torture was not a one-off event and that torture shares characteristics with other forms of state violence. 5) If torture is not wrong, nothing is wrong. If torture is not wrong, any degradation of human beings in the name of national security is permitted. The logic of torture not only reflects but also promotes acceptance of a "whatever it takes" paradigm of military power. Once torture is accepted, anything goes. Yet, the opposite is also possible. It is not a big jump from abhorrence of torture to revulsion to what other forms of military violence do to human beings. If the U.S. adoption of torture has shattered the myth of American humane warfare, other aspects of military policy that contravene that myth may come under greater scrutiny. I do not underestimate the power of nationalist blindness to the suffering of "enemy" others or the misleading language of "precision targeting," "accidental" civilian casualties and "collateral damage;" but, there are simply too many examples of both global and domestic responses to the inhumane violence of war to be ignored. In fact, threats to legitimacy stemming from that violence, as I have contended, are a principal concern of national security elites. If a "by any means necessary" paradigm of national power is the problem rather than officials working under "enormous pressure" in a terrorist emergency, the Senate report�in criticizing claims of efficacy and CIA malfeasance�will fall short. Nonetheless, the report will lay bare a core contradiction for any state that relies on violence as an instrument of foreign policy: the clash between an inhumane logic of war that resists moral and legal restraint and humane responses to the terrible consequences of that logic. The best hope for modifying unrestrained violence emerges directly from such a response. Thus, with the release of the Senate report, human rights and other civic organizations, dissenting journalists, religious organizations, the newly radicalized legal profession, and humane people everywhere have an opportunity to work against the semi-coerced silencing of critical debate not only about torture but also about the link between torture, militarism and all inhumane acts of war. Rob Crawford is Professor (Emeritus) of Interdisciplinary Arts and Sciences, University of Washington, Tacoma.